Vada Capital is an independent, family-backed private equity firm that partners with passionate management teams to achieve growth. Vada’s investments are industry agnostic, with a preference for majority ownership.  Established in 2001, Vada Capital was founded by Val & Dave Robson. Dave is the former chairman & CEO of Veritas DGC Inc. a multinational geophysical company. Vada is led by Jeff Robson and is comprised of a diverse team of professionals with wide-ranging backgrounds in operations and finance. Each member of our team brings specific skillsets and experience in both public and private entities. Vada prides itself on its strong values paired with innovative strategic planning, financial discipline, resulting in exceptional partner relationships. Founded in 2001 by Val and Dave Robson, Vada Capital is a private equity firm with a unique approach: Find the people with the passion and skill to make a great company, and the process of building success will be that much easier. Vada provides not only financial equity to their partnerships but also expertise and personnel to assist organizations in realizing their full potential. Jeff Robson, CEO and President of Vada believes that a great team is integral to the success of a company. By investing in the human capital of an organization in addition to the financial aspect, Vada ensures continuity and productivity beyond their period of investment in a company. Geoff Moser, General Manager at Renegade Oilfield Services has worked with Vada since Renegade was acquired in 2012. Caltrax Railway Inc. (formerly PDS Railcar Services) is a prime example of an organization that thrived under the guidance of Vada. Acquired in 2002, Caltrax worked with Vada for 15 years, during which an intensive management changeover took place. By 2006 Vada had brought in Al Tymensen, VP Finance, and Derek Kissick, Executive VP Railcar Operation, to invigorate processes at Caltrax. By 2017, Caltrax was thriving and an acquisition deal was struck with CAD Industries. Allan Chatenay is President of Explor, an innovative seismic exploration company that partnered with Vada when one of the partners at Explor was looking for a buyout. Chatenay praises Vada’s fiscal management expertise and appreciates that Vada brought an increased measure of discipline to the financial aspect of his company. In addition to the many partner success stories, the internal team at Vada Capital enjoys a family atmosphere as well. Camille McBean is a business analyst with the organization, having started full time after a period as an intern with the company. Her experience during the internship prompted her to come back after graduation. McBean feels valued, knowing the team truly cares about her well being, and she appreciates that everyone has an open door policy, working together to create the best environment for success. Vada operates on three pillars of expertise: Unlock potential, be a value-add partner and support sustainable success. These pillars apply to both their own company and those they partner with. Each of the three pillars is intrinsically linked with the other two. By encouraging a supportive environment within the company, those individuals working at Vada are confident and take pride in their work. In turn, individuals at Vada bring human capital support and performance value to the partnerships established by Vada. By maximizing the potential of both their internal members as well as that of their partnerships, Vada is able to support longer-term success for themselves and their partners. Live from this moment on.